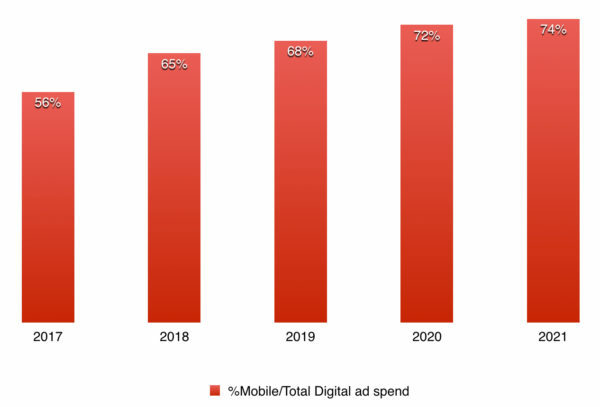 Due to popular demand, I am updating some key facts about Japan Digital Landscape in 2017. 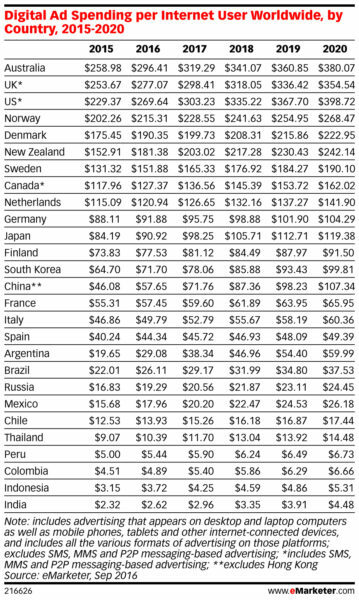 You could refer to a few other older posts about Japan at the bottom of this post. Here is the slide share version or you could download from Google Drive here. 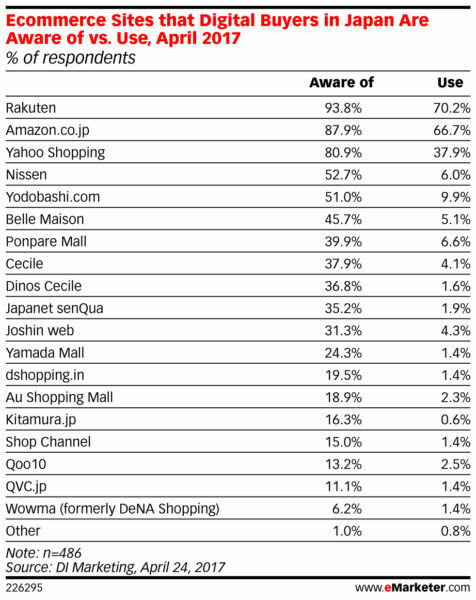 2.With more than 26M people above 65 years old, Japan has a sizable number of senior internet users (>8M) compared to other countries. 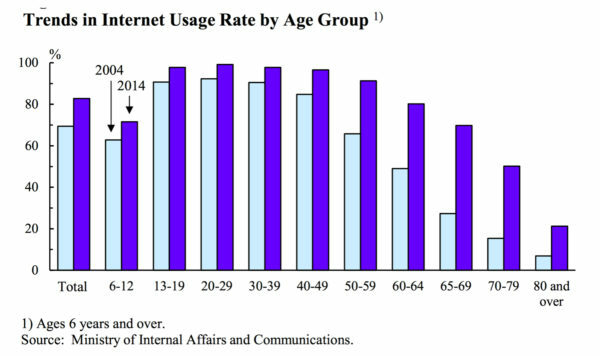 Internet usage for age group between 20-49 is nearly 100%. 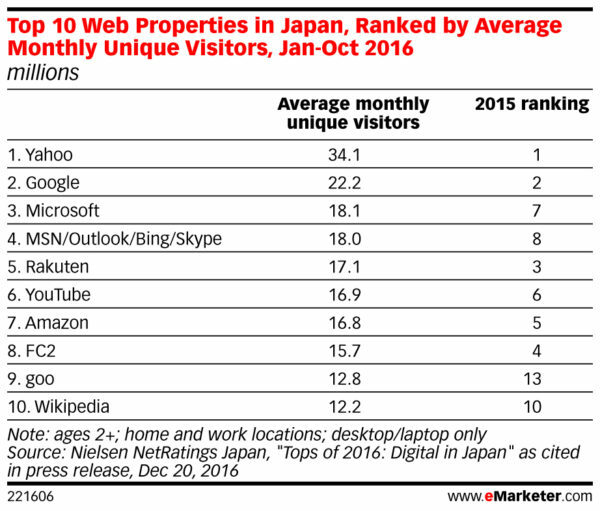 Twitter and Yahoo Japan have the highest percentage increase vs 2015. 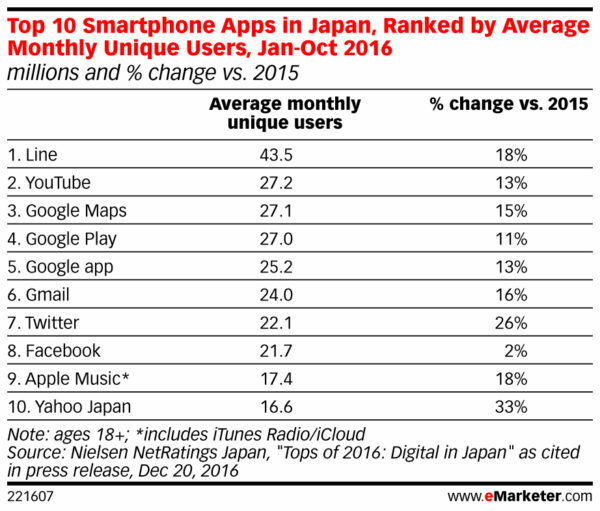 Twitter is as popular as Facebook and both are far behind Line when it comes to social networks/messaging in Japan. 9. 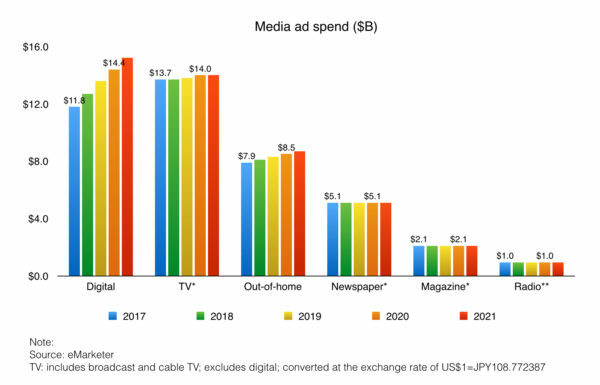 Japan digital ad spending per internet user ($98.25) is at 11st in the world in 2017. 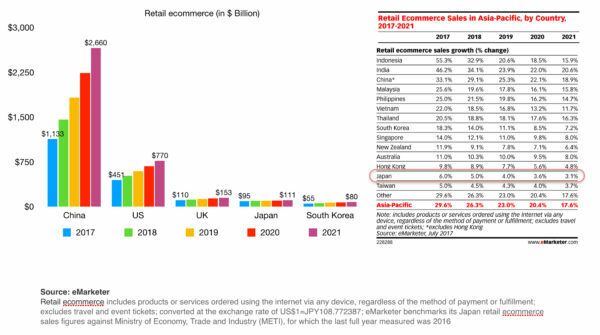 This means that internet advertising in Japan is not as competitive as AU, US, UK and other countries.